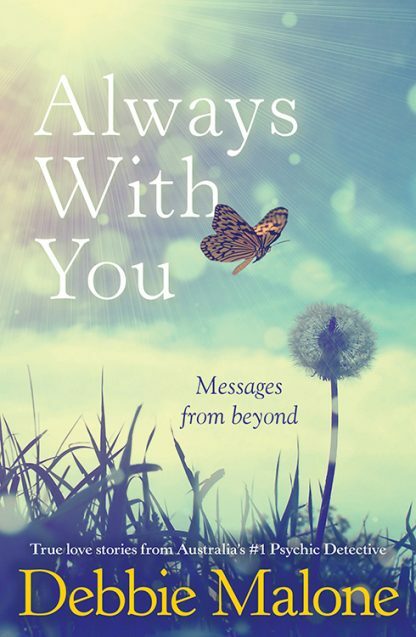 Australia�s most gifted and acclaimed psychic medium, Debbie Malone, shares her most challenging and life-changing stories of healing and love in Always With You. Showcasing her extraordinary ability to facilitate communication between two worlds�the living and the dead�these incredible true stories explore questions about the human soul and spirit world, as Debbie shares her powerful messages from departed loved ones on the other side to bring comfort, closure, and healing. These are the real stories and accounts of miracles and wonder that are bound to leave you breathless and captivated with the memories and endless love from the world beyond. Debbie Malone is an acclaimed spirit medium who has assisted police departments across Australia in missing persons and murder investigations for over 20 years. Her extraordinary gifts as a psychic, clairvoyant, and medium enable her to receive visions from both the living and the dead, from the past, present and future, and to convey messages to bereaved families from their departed loved ones. Debbie�s schedule includes numerous print, television and radio interviews, and she is highly sought after for private readings and workshops on how to attune to the spirit world. Her national television appearances include Today Tonight, Sensing Murder, Sunrise, and most recently, The One. Debbie is the author of Guardian Angel Reading Cards, Angel Reading Cards, Awaken Your Psychic Ability, Angel Wishes, Angel Whispers, Angels to Watch Over You, Clues from Beyond, and Never Alone.